Nowadays drones open hundreds of amazing possibilities to create wonderful photos and videos. Everything depends just on your imagination. However, it is important to choose the drone, which will be able to satisfy all your needs. Nowadays drones open hundreds of amazing possibilities to create wonderful photos and videos. Everything depends just on your imagination. However, it is important to choose the drone, which will be able to satisfy all your needs. You have to take into account such important features as controllability, price, flight time and camera resolution. All the models from the list will guarantee you high-quality pictures and videos. There are no doubts that they will satisfy not only the beginners and hobbyists but professionals as well. If you want to make breathtaking pictures, DJI Mavic 2 Pro is what you need. This drone is fitted with professional camera L1D-20c with 1-inch CMOS sensor produced by Hasselbald. It is perfect for making wonderful 20-megapixel photos and 4K videos. In addition, the sport mode allows the drone to reach a maximum speed of 45mph. And the drones’ battery will keep it flying for 31 minutes. Besides, the special sensors will help DJI Mavic 2 Pro spot the obstacles on its way and avoid them. Furthermore, such smart flight modes as Active Track, Point of Interest and Waypoint will help everyone to use their creativity to the fullest without a fear to damage the drone. And thanks to the portable size, you will be able to take it wherever you go. This drone has already gained the affection of many professional photographers. Its built-in camera offers stunning 4K, 2.7K, 1080p and 720p videos. And the sensors will help the drone avoid the different obstacles during its flight. Also, DJI Phantom 4 can reach a maximum speed of 45 mph in the sport mode and stay in the air for 28 minutes. Additionally, the drone is fitted with a Tap to Fly system and can be upgraded with the help of numerous available accessories. The Yuneec Mantis Q is the right choice for the people, who often travel and want to capture the most amazing moments of their adventures in photographs. The drone is available at less than 500$, but at the same time, it includes amazing functions and opportunities. Yuneec Mantis Q is perfect for making wonderful HD and 4K videos. It can fly for 33 minutes and reach the maximum speed of 44 mph. The drone is easy-to-use and compact enough to be taken on a family trip. Furthermore, Yuneec Company has provided Mantis Q with the voice control system, so now all that you need is just to issue a command. Such great function allows taking perfect pictures and recording videos without the necessity to use manual control. Finally, the gesture control and the facial detection are the icing on the cake and make Yuneec Mantis Q one of the best drones at the market. Another one professional drone is H520 produced by Yuneec Company. Its 360-degree gimbal camera is great for making Ultra HD 4K videos and 20Mp images. Also, the drone’s retractable landing gear will guarantee its safety. The Yuneec H520 is equipped with 6 rotors and it can fly at the maximum distance of 500 meters. And the battery will provide you with 25 minutes of flight. The U49C Red Heron is a combination of contemporary design, affordable price and high quality. It’s a perfect choice for everyone, who has just started working with aerial photography drones. The U49C has an amazing camera, which makes awesome 120-degree 720p videos. The quadcopter has an extra battery, which will double its flight time. And as a pleasant bonus, you will get a spare motor. Plus, the drone’s handless mode and special signal alarms make it perfect not only for grown-ups but for the children as well. This amazing portable drone will take off from your hand and then the gesture mode will be instantly turned on. Besides, you will be able to predefine the Spark’s flight paths before it starts flying. The drone is fitted with a camera which offers miraculous 12MP photos and 1080p videos. Furthermore, its new QuickShot mode will automatically create a short video choosing the best shots taken during the flight. And the obstacle avoiding system together with gesture recognition makes it one of the best drones for beginners at the market. Besides, you have an opportunity to download an app, which you will need to use for flights over 100 yards away. However, you always can use remote control. The F200 Shadow Hex produced by Force1 is truly the sweet spot not only for professionals but also for beginners and hobbyists. It has awesome Point-of-Interest and Follow-Me modes, which allows recording all your moves. Furthermore, you will be able to set the location where you want to make a video. In addition, it is possible to see the Shadow Hex’s fly route with the help of the phone’s GPS map. Also, the drone is equipped with a 1080p HD camera and you can connect to the Shadow Hex using your iPhone or Android. All that you need to do is just to insert your mobile phone into the drone’s remote controller. If you are looking for a reliable, but not expensive quadcopter, you should check the F100GP. You will get a chance to get professional shots because there is a camera mount for GoPro. However, you always can use a detachable drone cam to make wonderful 1080p HD videos. The drone can stay in the air for 15 minutes and its brushless motors guarantee smooth and quiet flight. Furthermore, you can choose between 2 different speed modes. And after the registration of your drone with Force1, you will get a free extra battery, which doubles the flight time. This drone is a stellar choice for beginners, who want to learn the basics of flying. UDI U818A HD+ RC provides you with the opportunity to see the world through the drone’s HD camera. Besides, altitude-hold built-in FPV screen will help you to control the drone without any problems. It allows studying the aerial photography techniques and training for FPV racings. The drone can take 2MP photos and 720p HD videos from high above. The battery guarantees 10 minutes of flight. Plus, you will get one more battery, VR headset and Micro SD Card as a pleasant bonus. The U45W Blue Jay produced by Force1 is an amazing drone you can buy at a reasonable price. It is fitted with a high-quality HD camera, which is perfect for making beautiful 2MP pictures and 720p HD videos. It’s a perfect drone for the people, who want to learn flying the drones. The special altitude hold function will stabilize U45W during the flight, which makes the process of making aerial photos easier than ever. 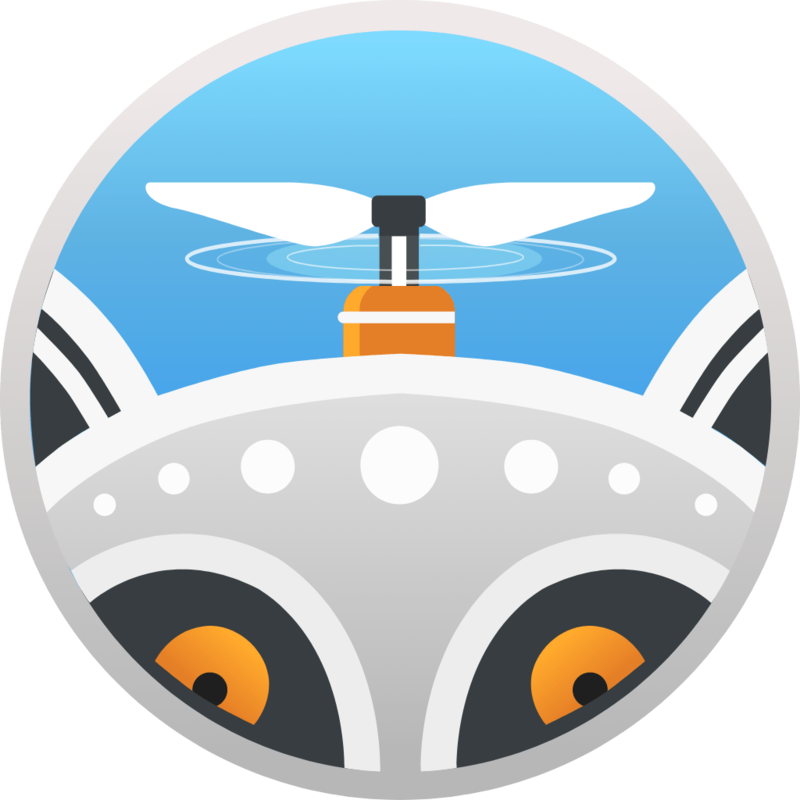 Besides, you can land or launch the drone using only one button thanks to take-off and landing feature. Also, users can connect their mobile phone with U45W’s camera and see the world from the skies. And the battery will keep the drone in the air for 7-9 minutes. As you can see there are many different drones nowadays, but each of them has its own strong and weak sides. And it goes without saying, that if you have just acquainted with the world of aerial photography, it’s better to choose easy-to-control drones. Although such ones can’t fly for a long time or reach high speed, they will help you to learn the main basics of flying. And only after a certain period of time, you will be ready to purchase a professional drone, which will open even more opportunities for you. Take Your Love to Paris: Win Tix for 2 in #Luminar_Couple Contest!